Blind-bagged Chibi Walker from Kurobokan! 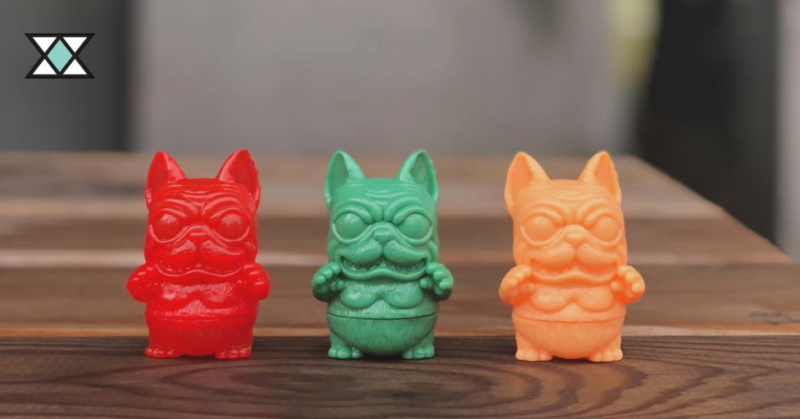 We already knew that Kurobokan was bringing the heat to Taipei Toy Fest this past few days, we told you about it HERE, but what we didn’t know was that they were bringing along some blind-bagged Chibi Walkers! BAH GAWD! These adorable mini Chibi Walkers melt our hearts. We are hoping that now they’ve been released at TTF 2018 we’ll see an online release of some kind in the near future. We haven’t heard yet if this is the case, but we HOPE it is. Available in four colours (that we’ve seen so far) these blind-bagged Chibi Walkers would be a huge success in our opinion. They’ve got alllll the cute going on and they’re mini, so they’ll be at a great reasonable price point. We’ll keep our ears & eyes open for more details if/when they become known. In the meantime, go find Kurobokan on Instagram HERE and give them some woof woof love!